The computer game is to be released in 2011. Vienna/Berlin, 03 May 2010 – The German games and software developer Neutron Games GmbH has agreed to cooperate with EHF Marketing GmbH during the EHF FINAL4, the new final phase of the EHF Champions League, which will see Europe’s top four club sides meet in the LANXESS arena, Cologne on 29-30 May 2010 in front of over 19,000 people. Neutron Games will use the opportunity to present their new computer game, which is going to be released in 2011. “Handball Challenge” is one of the very first handball action games to be produced. At the EHF FINAL4 fans will have the great chance to test the trial version “Handball Challenge Training Camp”, designed as a free mini-game series, right at the booth of Neutron Games. 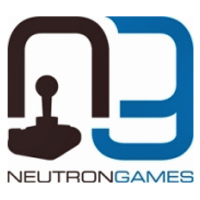 Neutron Games was officially founded in 2009 in Berlin, Germany. Already since 2007 the two founders, Gregor Ilg and Björn Kaminski, are taking care of building a video-game company in order to develop interactive software for handball. In 2009 the young company was able to win the Serious Games Award of Berlin for a concept regarding a game to learn and teach the sport of handball. The company is funded by Investitionsbank Berlin, the Medienboard Berlin-Brandenburg, the European Regional Development Fund and a private investor. Neutron Games is partner of numerous companies, handball clubs and the German Handball Bundesliga (TOYOTA HBL). For more information see www.handball-challenge.com.